**Disclaimer, I was provided a set of Wallternative decals to review. All opinions and comments are my own. It's no secret that I am a lover of Wallternatives. After doing the review of the dandelion wisps and the Thanksgiving decals, I knew immediately that I would want to play with their Christmas decals too! 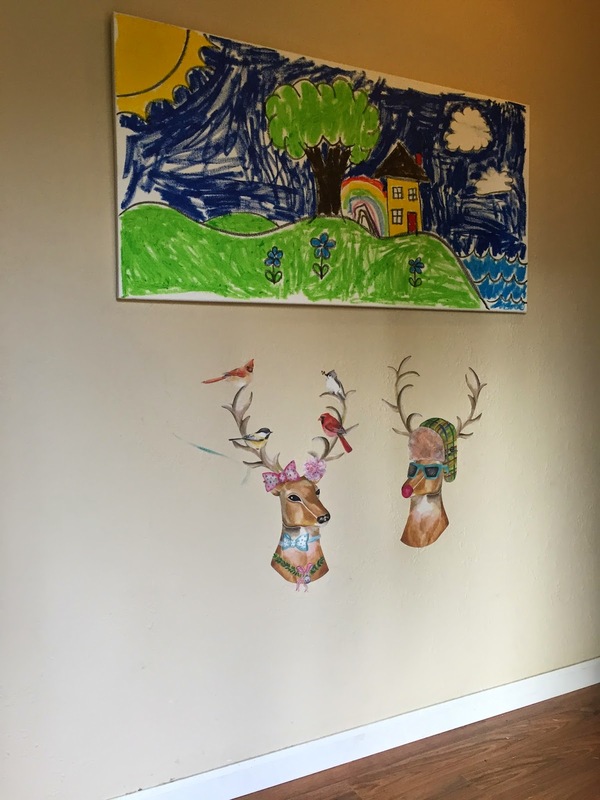 I had a hard time deciding between the super cute Christmas tree or the Boy Meets Girl Reindeer Removable Christmas Wall Decal Set, but in the end, I knew the kids would have more fun with the reindeer, so reindeers it was! I was trying to figure out where to put them. Originally, I wanted to put them on glass with a frame like I did the "Be Grateful" decals I did for Thanksgiving. But the reindeer were too big for my frames. Plus, I knew that the kids would want to play with them and I didn't really trust them to be gentile with framed glass. I ended up putting them in the hallway by our front door. 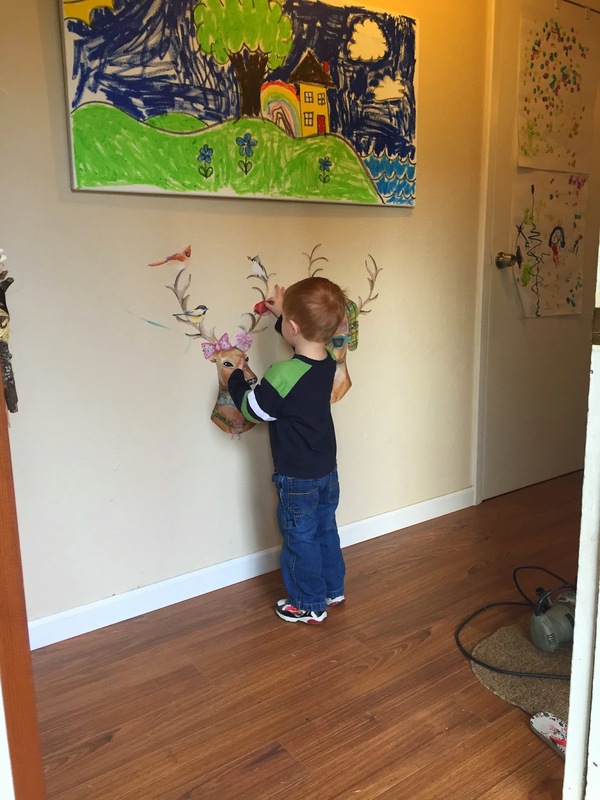 This area has quickly turned into our "art gallery." 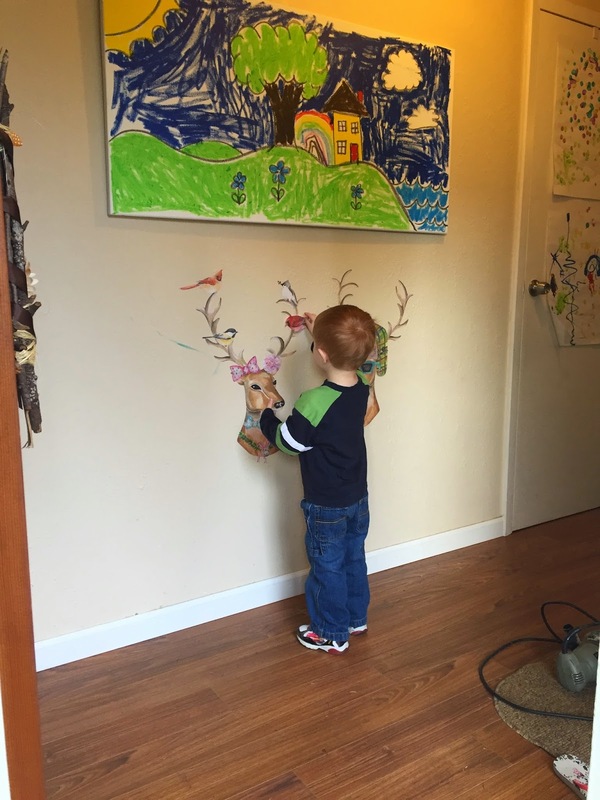 It's really the only place in the house with enough room for the kids to properly display their art. As you can see this is where I also put up our giant canvas coloring book page. 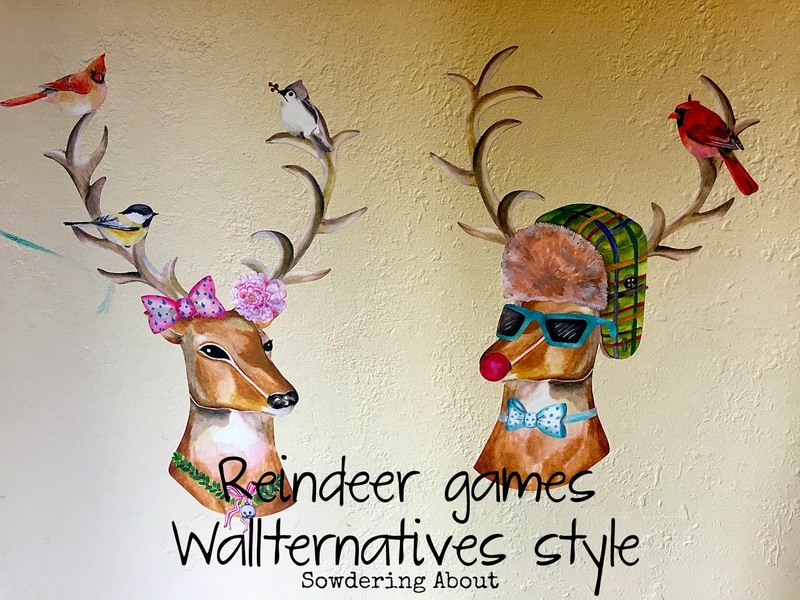 I knew the kids would love to play with these reindeer, especially since they have had so much fun playing with the window clings that I made for them a few weeks ago. Lucy has started playing the "what's different" game with me too. She will rearrange all the pieces and then ask me to come over and tell her what is different from the last time. It keeps her busy for hours. Overall, Wallternatives did it again and impressed me with their product. I can't wait to see what they come up with next! !